There's no time to lose on the battlefield. Keep your weapon at the ready with the Swiss Arms MP9/MP40 Belt Holster. 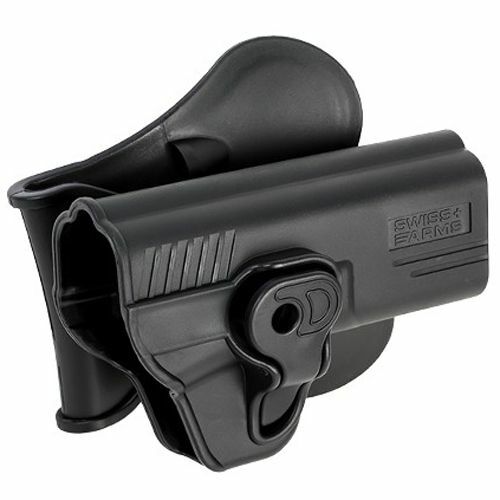 This durable polymer holster is designed for 360 angle adjustment and comes with a quick lock trigger guard system. Compatible with MP9 and MP40 series pistols.